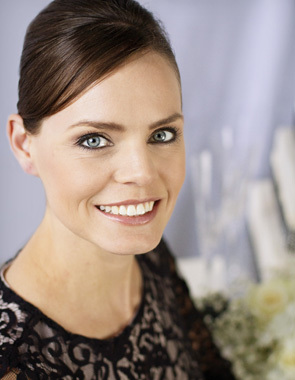 Meet Carolyn, founder and lead planner of Carolyn Wilson Weddings & Events. Her expertise in the wedding industry is driven by the constant joy she finds in celebrating unique love stories and designing swoon-worthy events. She is a San Francisco, Napa, Sonoma, Carmel, Monterey and wine country wedding planner crafting elegant events throughout California and beyond. Carolyn’s atypical route to the wedding industry has given her a unique perspective on event coordination. Prior to joining the wedding industry, Carolyn enjoyed a career as a professional ballerina with the esteemed Nevada Ballet Theatre in Las Vegas. Though dance was an enriching experience, after a few years Carolyn felt called to pursue an equally rewarding career in event planning. Well-equipped by ballet’s lessons in discipline, focus, and attention to detail, Carolyn enhanced her education with a Certified Wedding Consultant certification through Cal State’s professional training program, a recognition that provided outstanding qualification, hard to match in the wedding industry. Since then, she has proven herself a lifelong learner by attending industry networking events, speaking at professional forums, serving on local industry Board of Directors, and learning from talented industry colleagues. Carolyn also co-teaches the very Wedding Planner Certification course she successfully completed herself, which gave her, and now her students, the educational experience needed to be recognized as a true professional in the weddings and social events industry. Carolyn’s passion for crafting unforgettable events plays out on a daily basis through Carolyn Wilson Weddings & Events. Making the planning process stress-free for her clients and turning her couple’s dreams into reality is as fulfilling as it is enjoyable. Behind the scenes, you’ll find Carolyn walking outside with her Puggle (Toby) or living out her own love story with her supportive and hardworking husband and amazing children. She’s still invested in ballet as she continues to teach all levels of dance in the same studio where she trained growing up. Whether Ballet Mistress for the company, or Lead Designer, Planner and Coordinator here at Carolyn Wilson Weddings & Events, Carolyn always brings a creative vision and eye for detail to any role! She has garnered recognition throughout California as the top San Francisco, Napa, Sonoma, Carmel, Monterey and wine country wedding planner.